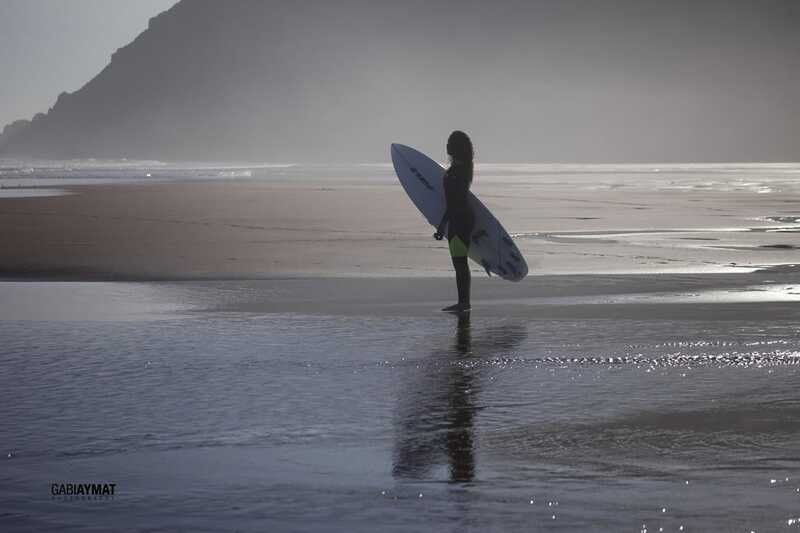 Meet surfer Sonia Ziani, seaside local from Zarautz with Basque roots and an African soul. Read her view on culture, keeping fit and competition in the water. Sonia Ziani is a surfer and seaside local from Zarautz. We met by coincidence: posting a photo on Instagram of a girl with curly black hair looking out on surf spot Lafitenia, France. Her favourite break as it turned out. She recognized herself and that’s how we became ‘Insta friends’. Sonia’s born in Zarautz, but using the Instagram name ‘African Soul’. “I love the mountains. I love feeling free on the hills and spend hours walking or running and listening to music. My favourite is hiking the Mount Ernio (the highest point of a massif near Zarautz, ILtS) followed by a good lunch at Euskalduna Taberna”. The mountains are not just a good place to look out for incoming swell; Sonia’s surf-fitness is important with the increasingly high level of competition in the water.